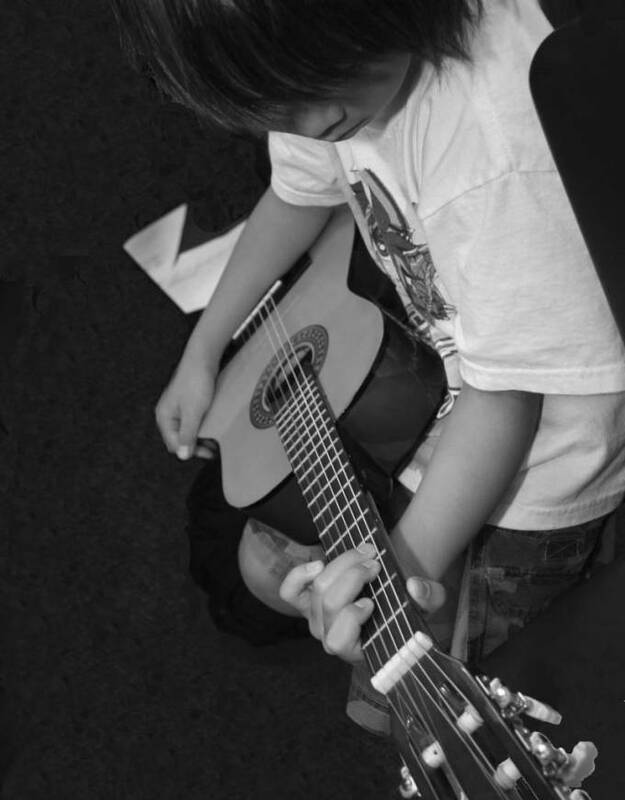 “I often think in music. 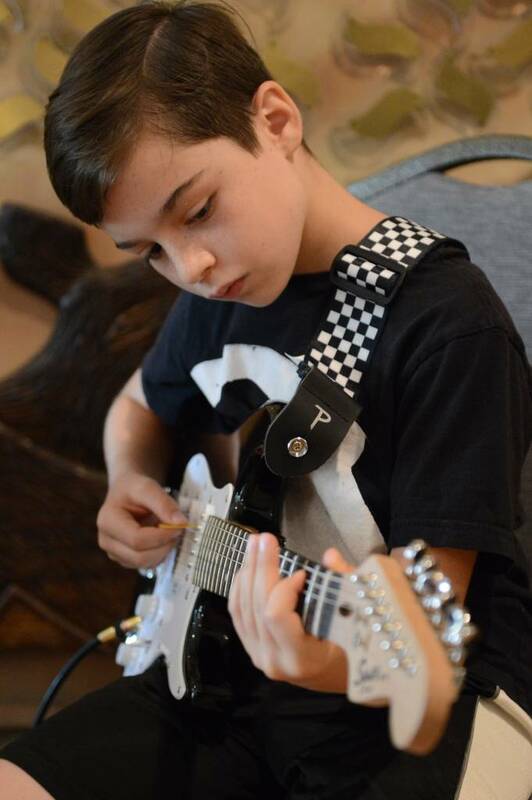 BE A REAL GUITAR HERO! 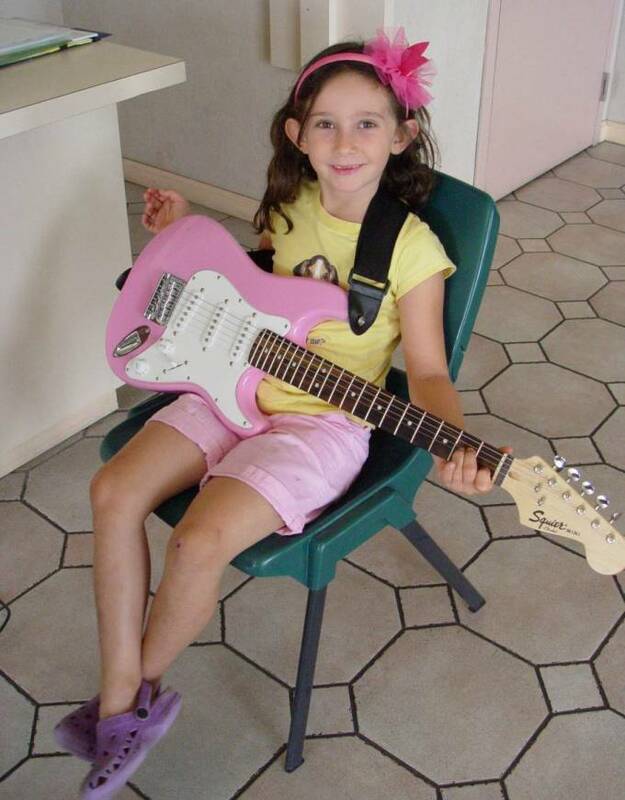 Do you have rock and roll dreams? 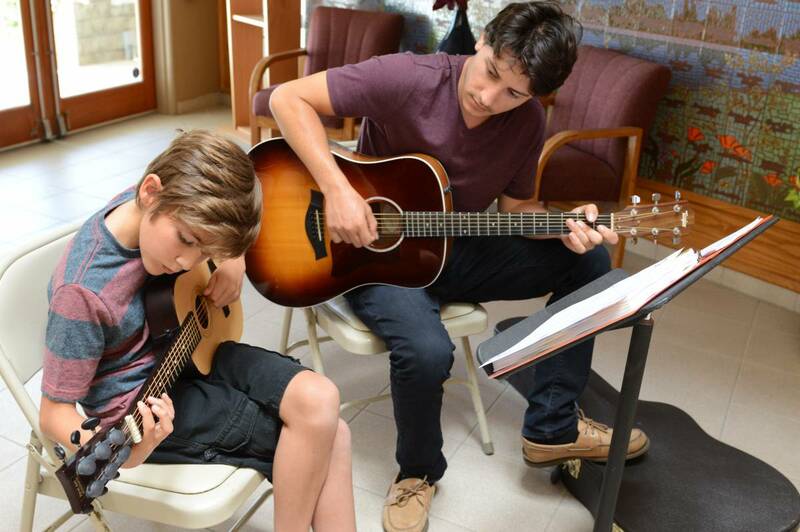 Here’s your chance to learn how to play the acoustic guitar! 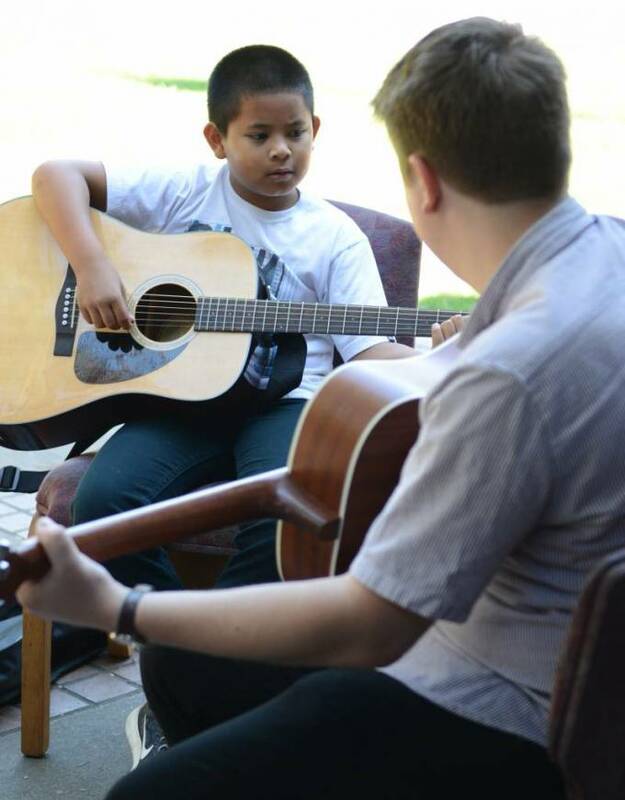 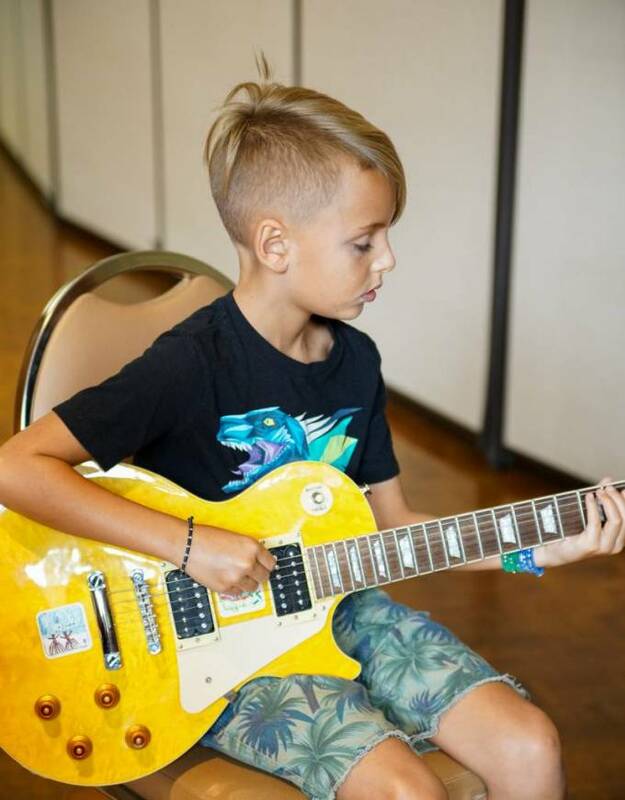 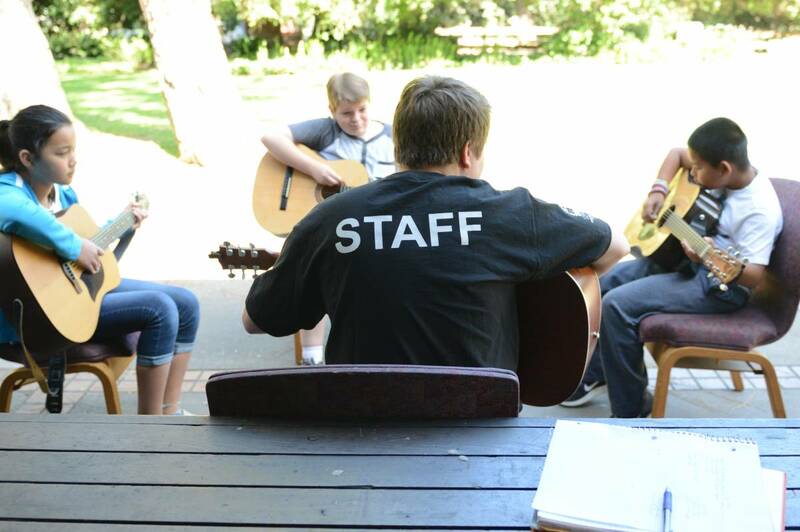 Whether you’ve ever picked up a guitar or if you already have mad skills, our guitar camp is the ideal setting for beginning to advanced students. 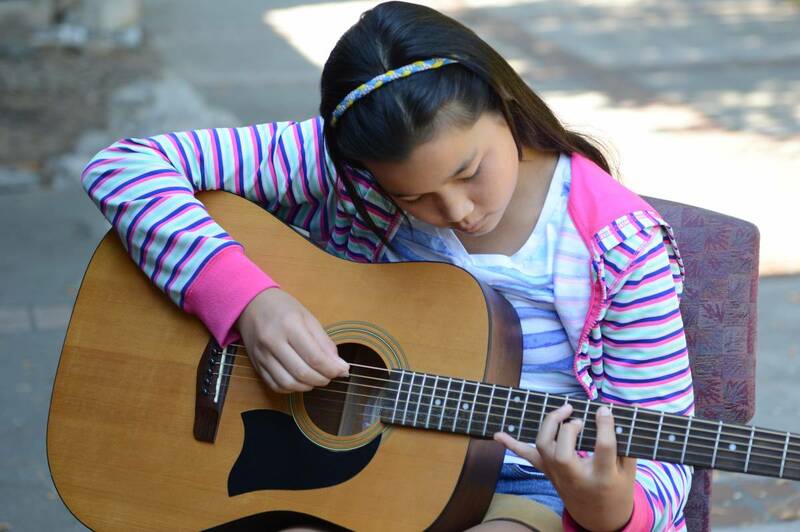 Learn chords, tabs, picking, strumming, music theory and song writing – the first steps into the musical journey of a lifetime. 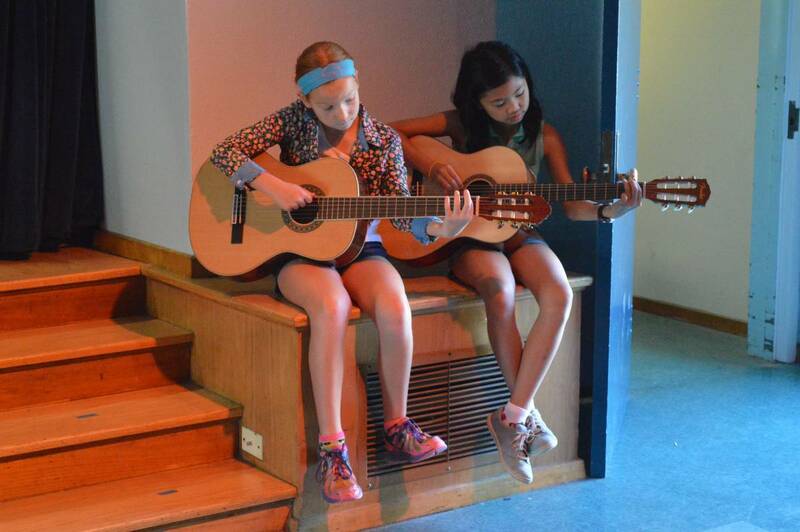 Perform rock, pop & classical and even write an original song. 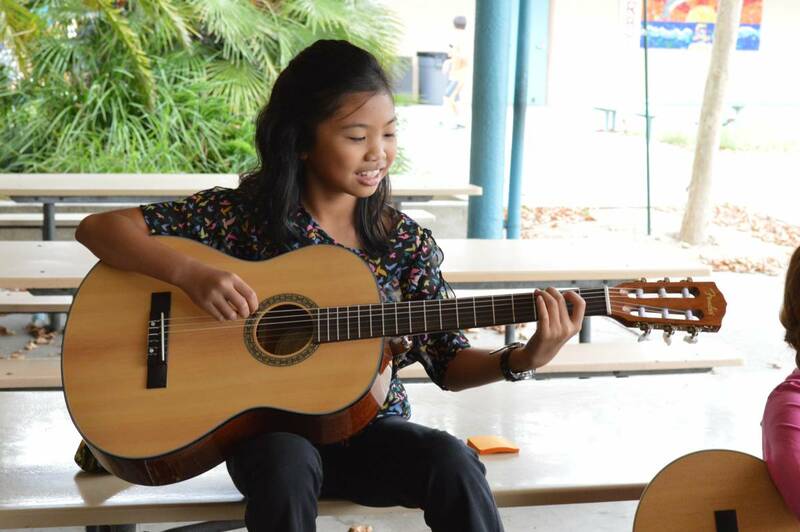 As you progress, you will learn the finer points as you gain mastery of your instrument. 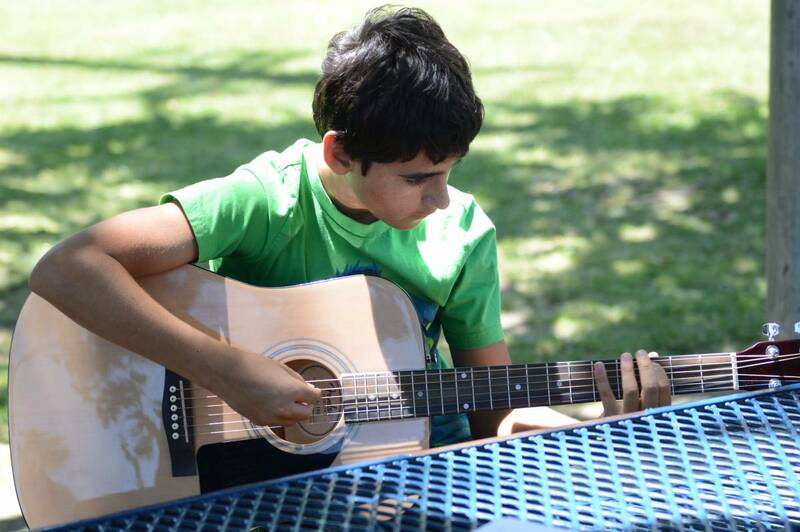 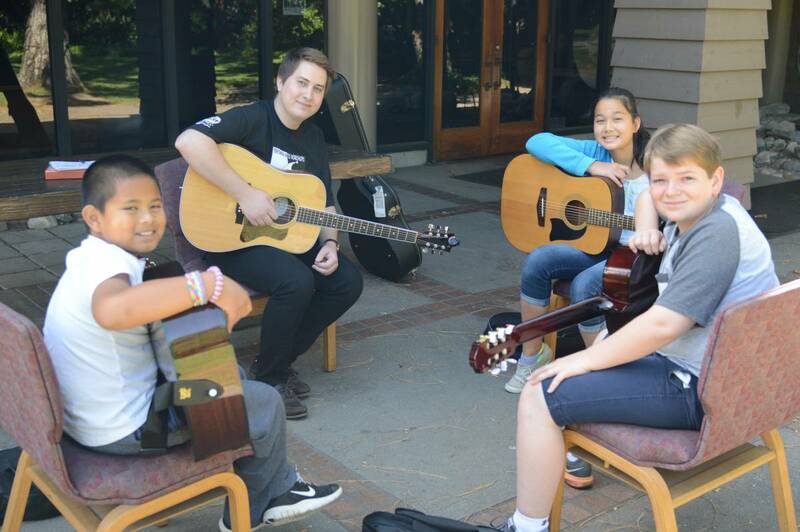 Each Guitar Camp session is two weeks in length with 5 sessions available. 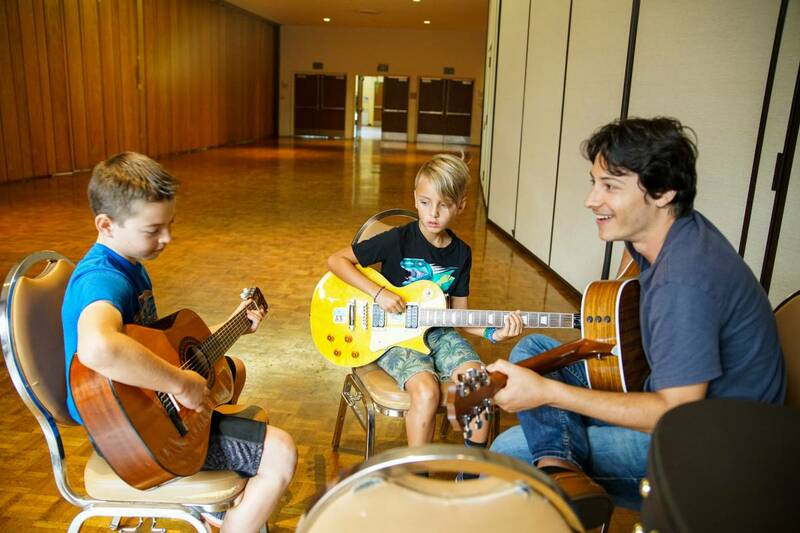 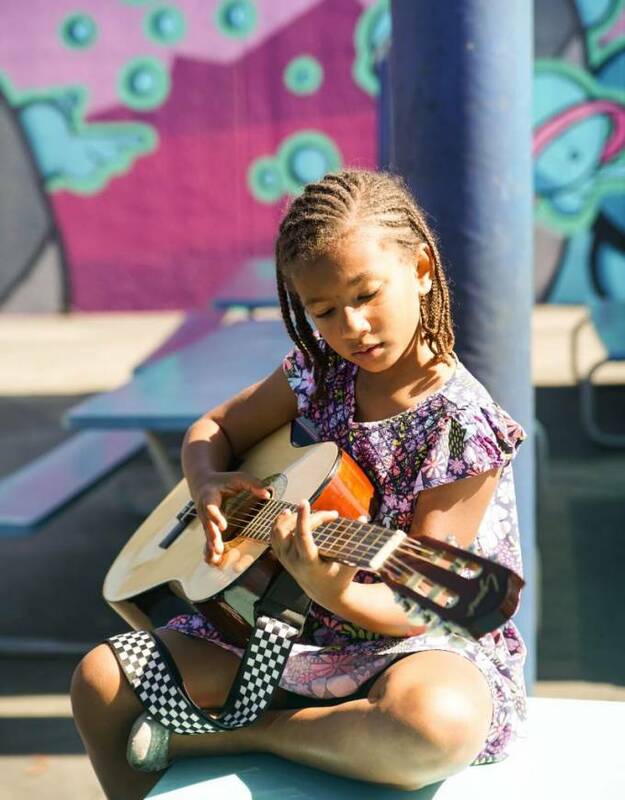 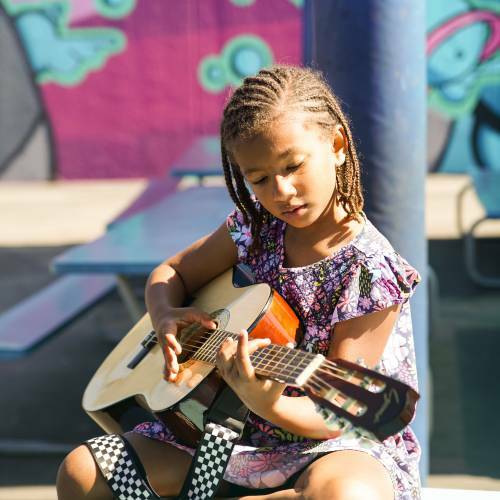 In each two-week session, young musicians will make their mark on the music scene by learning and performing rock, pop and even classical guitar pieces. 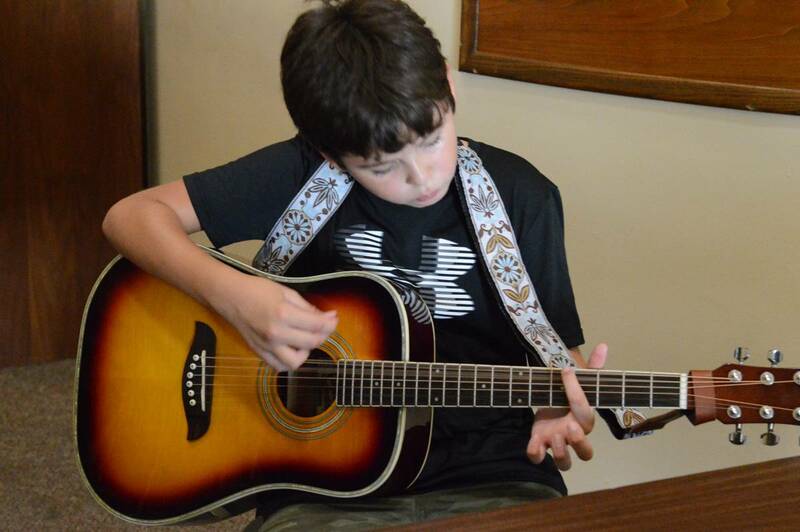 They can also enjoy the creative process of writing and performing an original song. 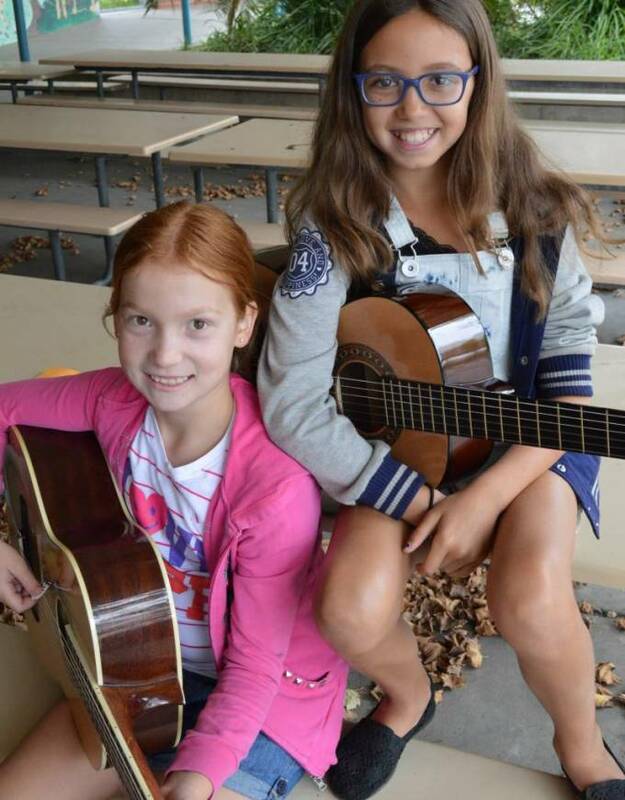 As if that weren’t enough, our guitar heroes will rise to new heights in music by working in concert with Performing Arts Workshops’ Theater Camp, showcasing their original compositions and providing the musical underscoring for theater productions before a live audience. 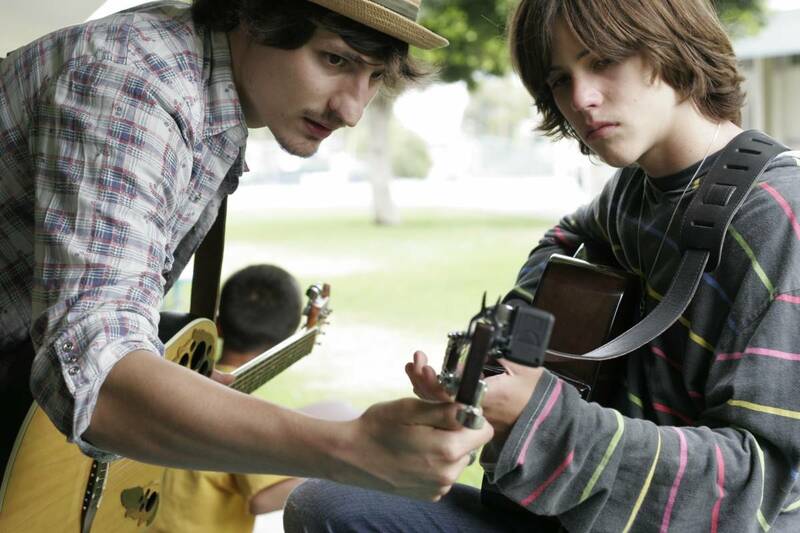 You never know where the journey could take you. 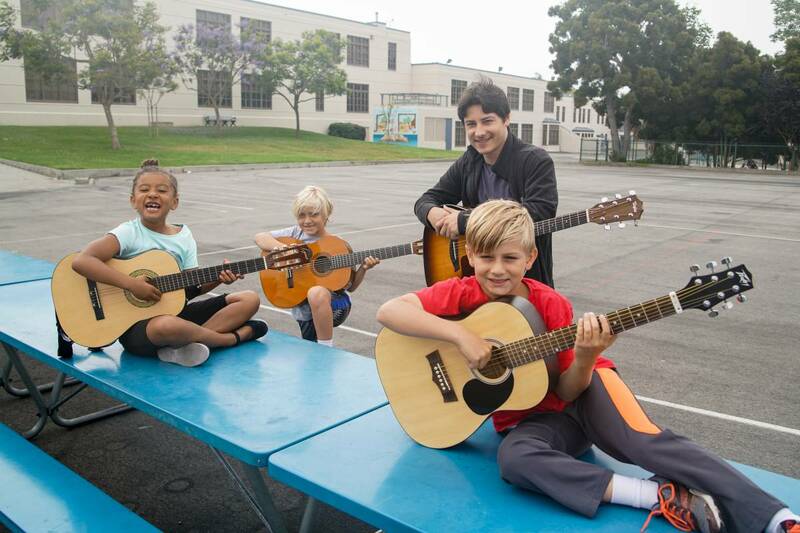 Just imagine, someday playing your guitar at the Hollywood Bowl, scoring a live production of a famous American musical or playing in a rock band at the House of Blues! 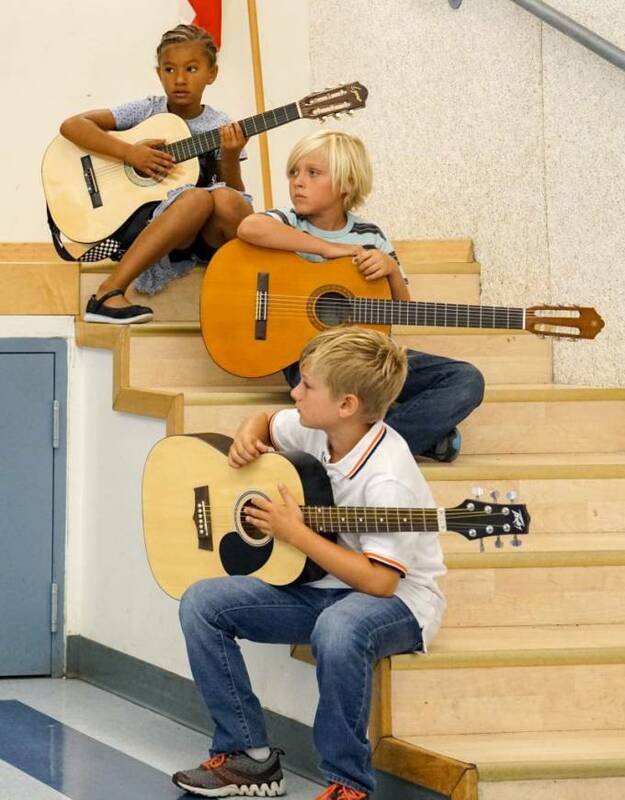 Students must provide their own guitar! 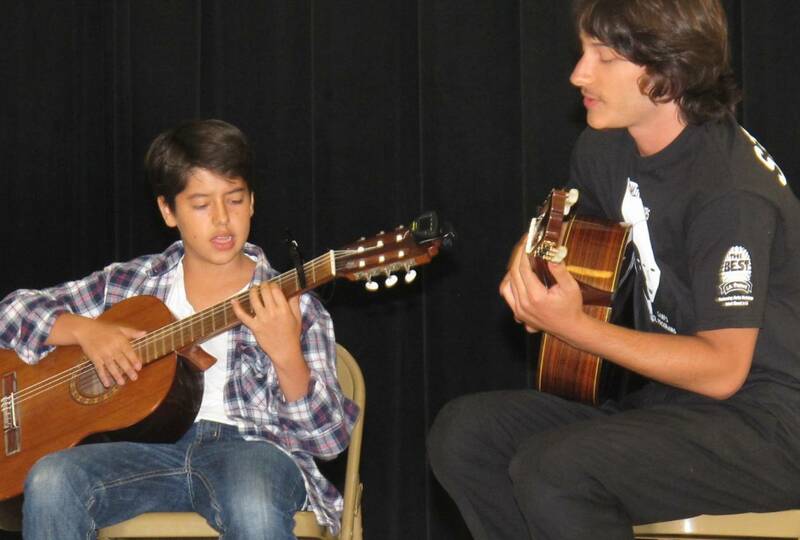 For ages 7-14. 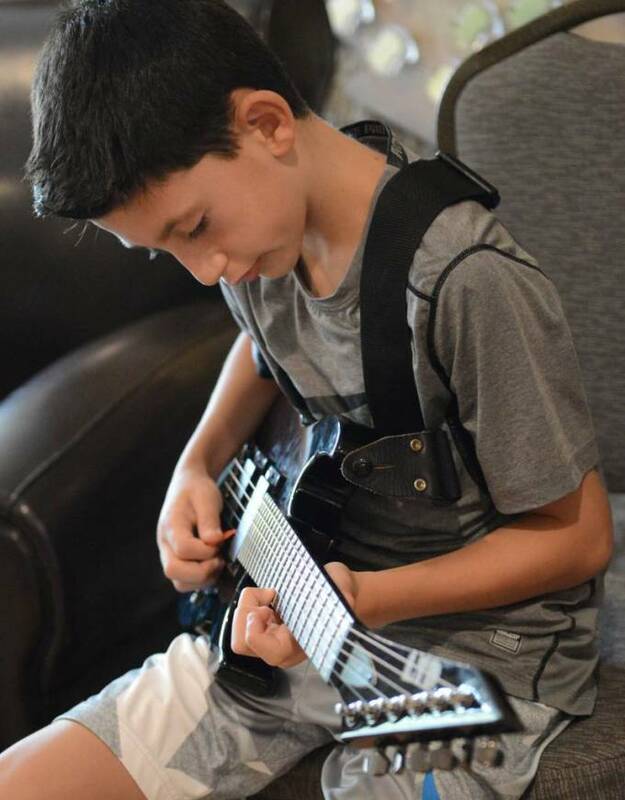 “When I was 13, I asked for a guitar. 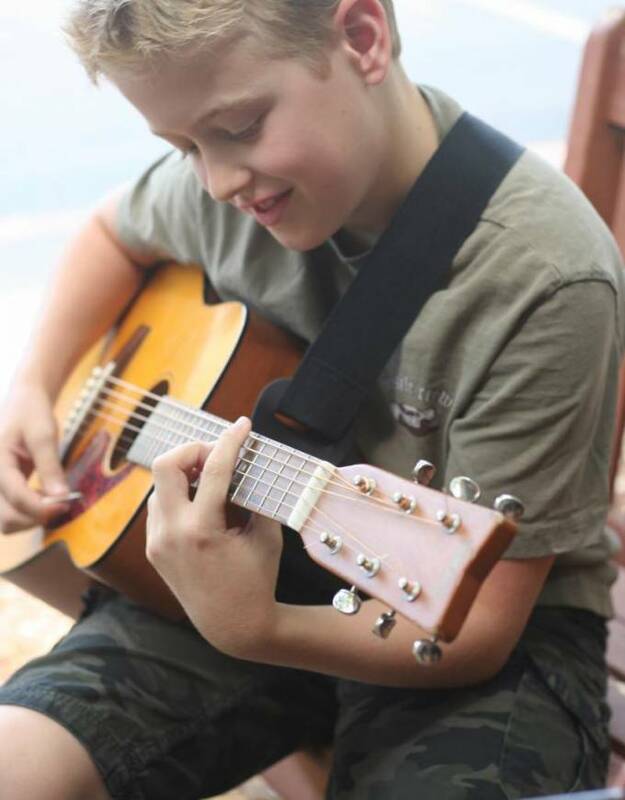 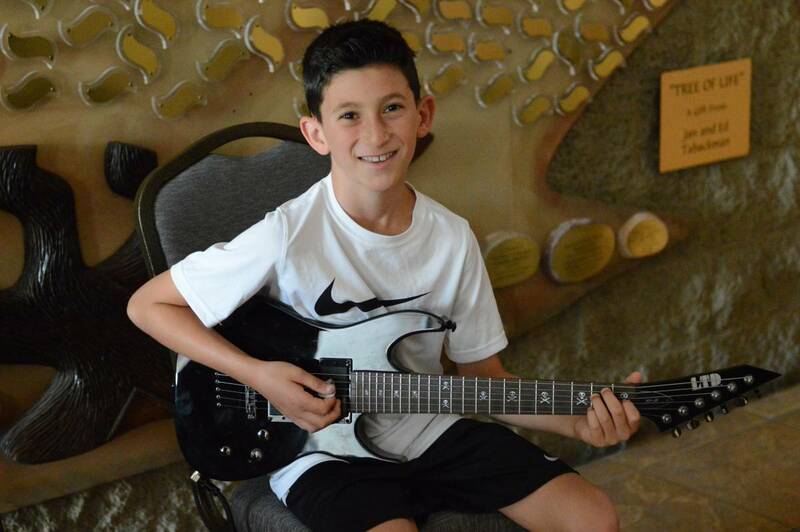 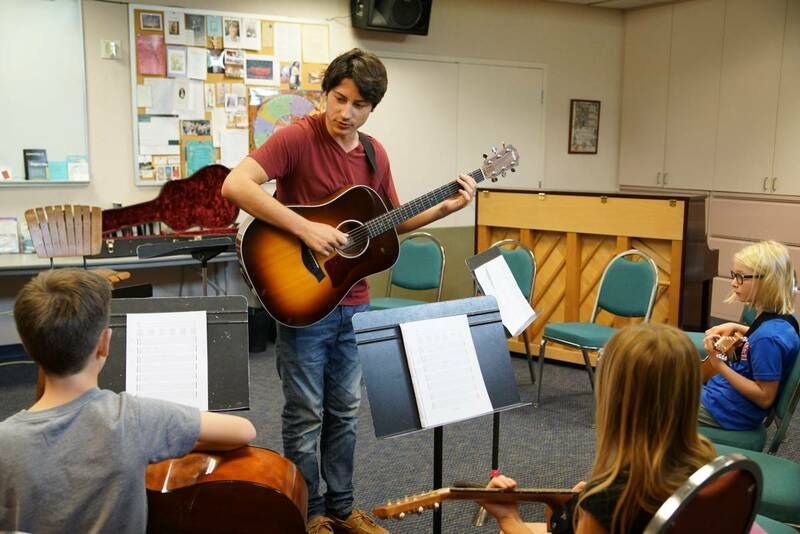 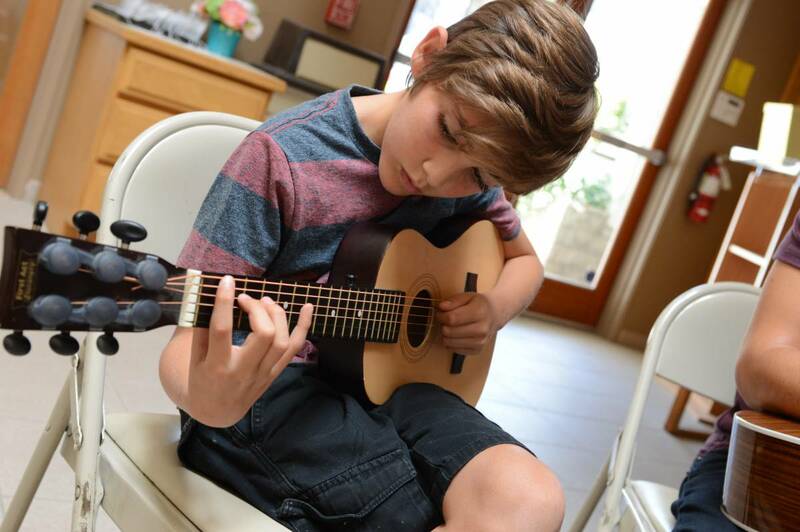 Working in concert with PAW’s Musical Theater Camp, our guitar players will showcase their original compositions as well as provide the musical underscoring for a live theatrical production. 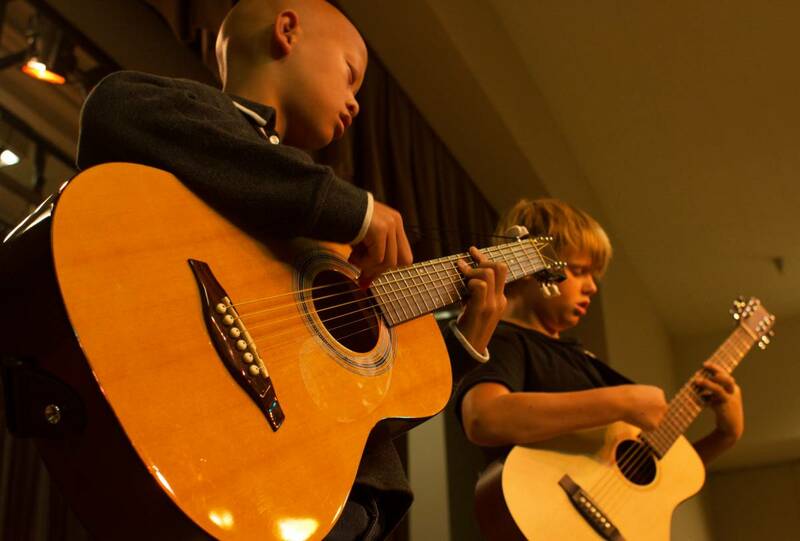 Sessions 1 & 5 are available. 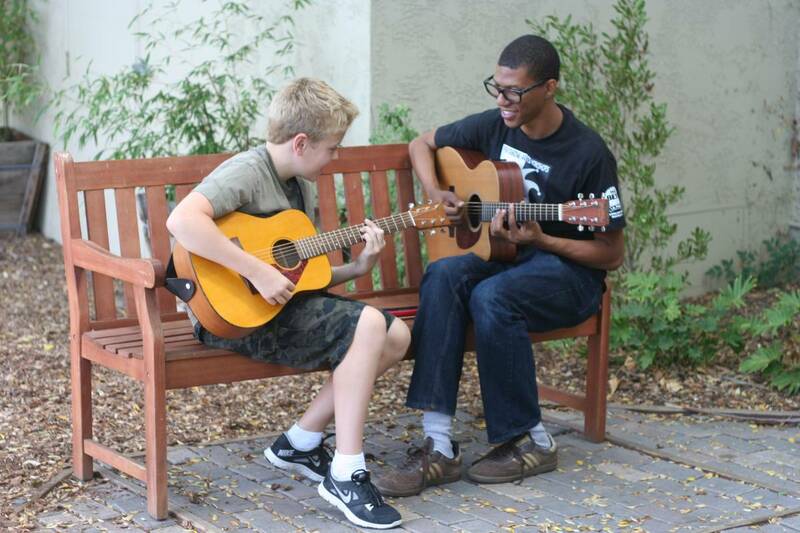 Students must provide their own acoustic guitar. 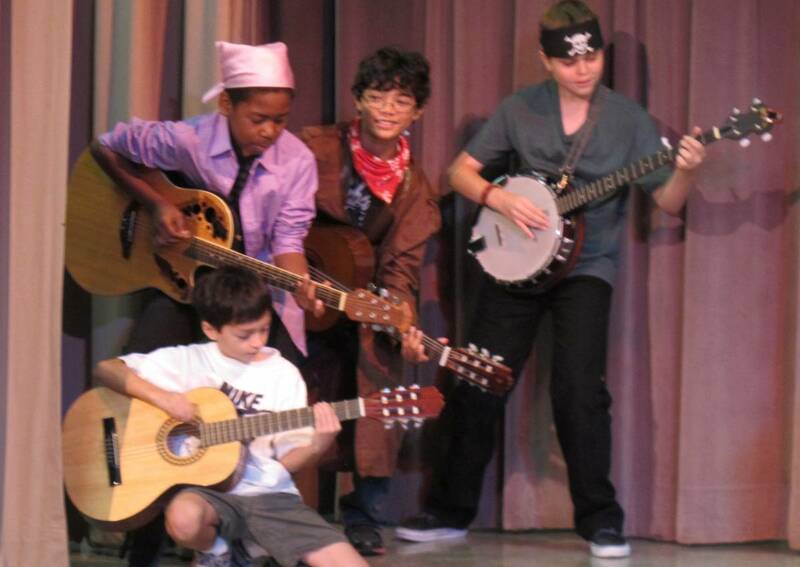 We reserve the right to determine inclusion of musical pieces for live performances at our discretion. 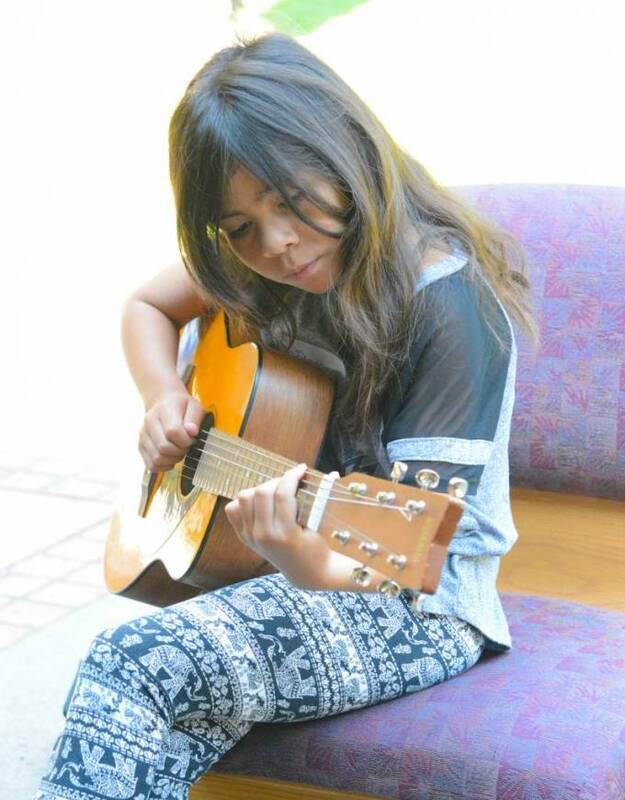 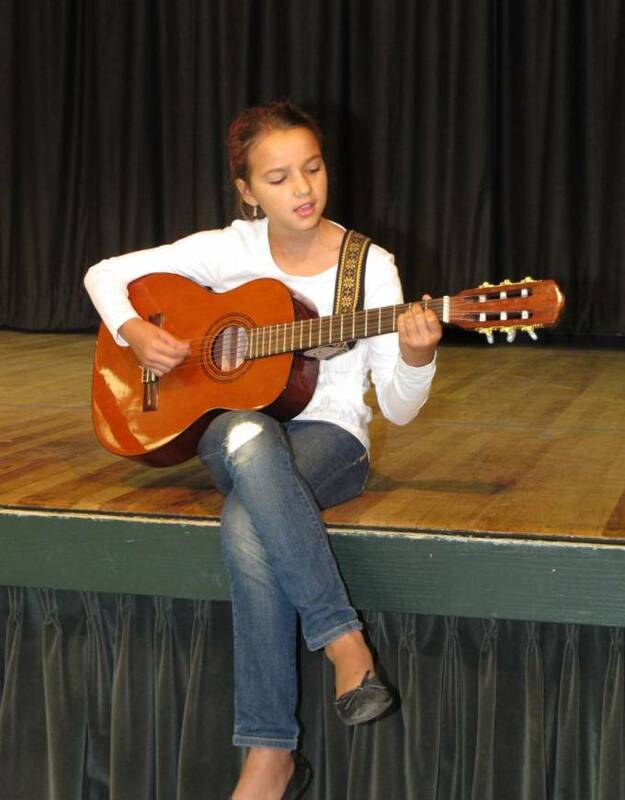 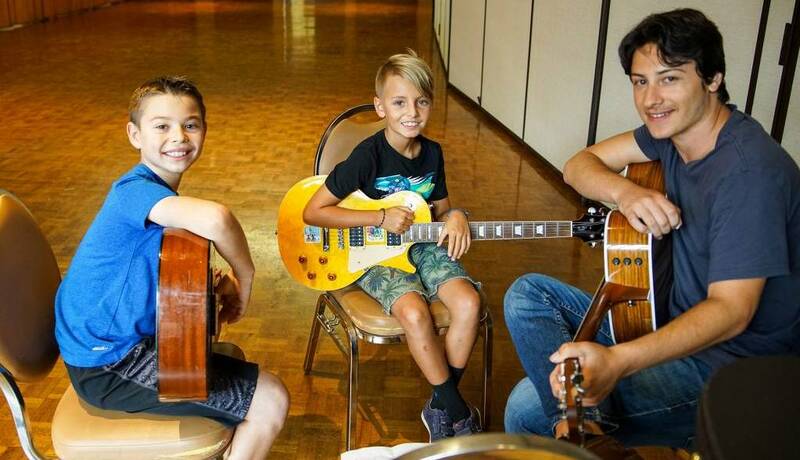 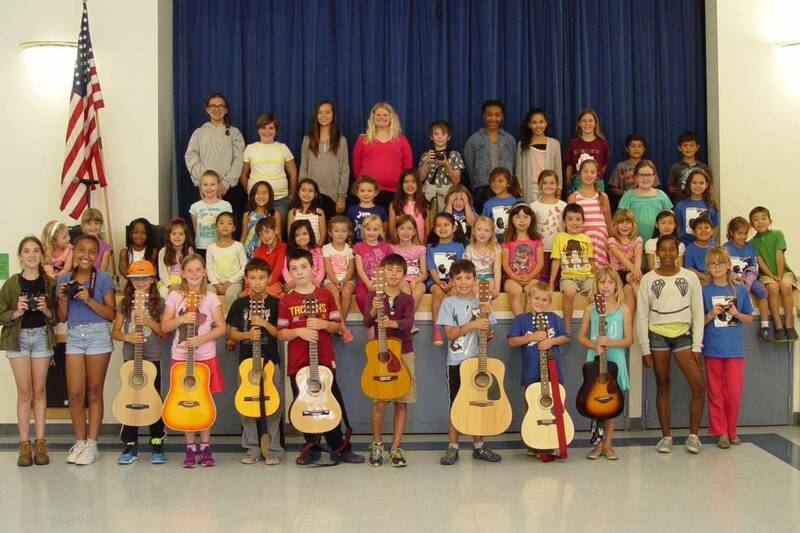 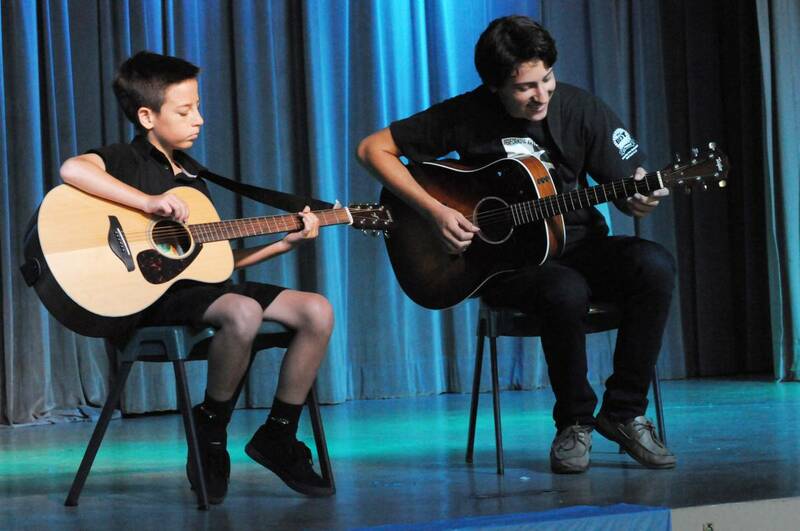 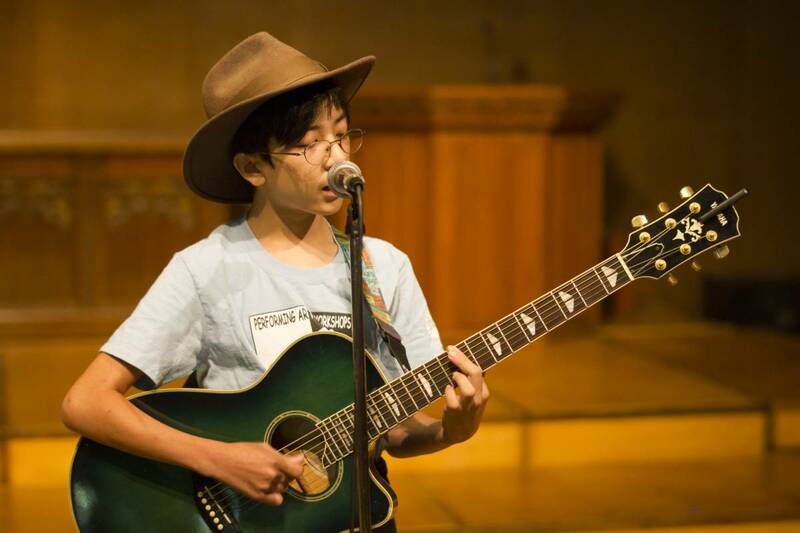 The Guitar Camp recital is performed in concert with the PAW Musical Theater Camp. 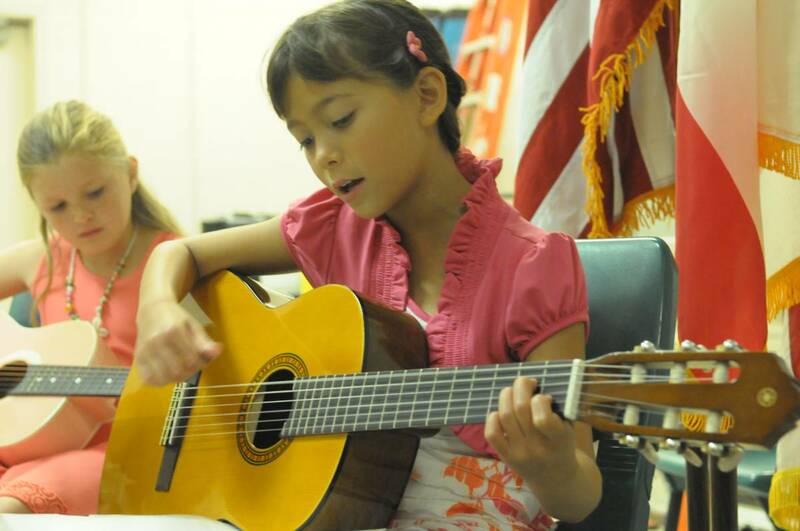 The recital is free and attended by the friends and family members of our campers.